Postmodernist Relativism: A Return to Polytheism? Submitting an article to a peer reviewed academic journal is usually an intimidating undertaking for the most seasoned of researchers. For bachelors’ students it is an especially daunting prospect. Every researcher knows that criticism and praise from the academic community is both a challenge and a spur to greater achievements. The earlier a scholar can experience this vital element of academic endeavour, the better they will be prepared for a future career in research. Students are represented on the editorial board and have carefully performed their tasks as editors in maintaining academic standards and selecting the very best papers for publication. Any journal also needs to be formatted, and praise must be given to the members of the board who provided their expertise in this time-consuming part of the process. Thus, the journal both provides students with the invaluable experience of submitting papers to peer review, and also allows them to participate fully in the editing process. 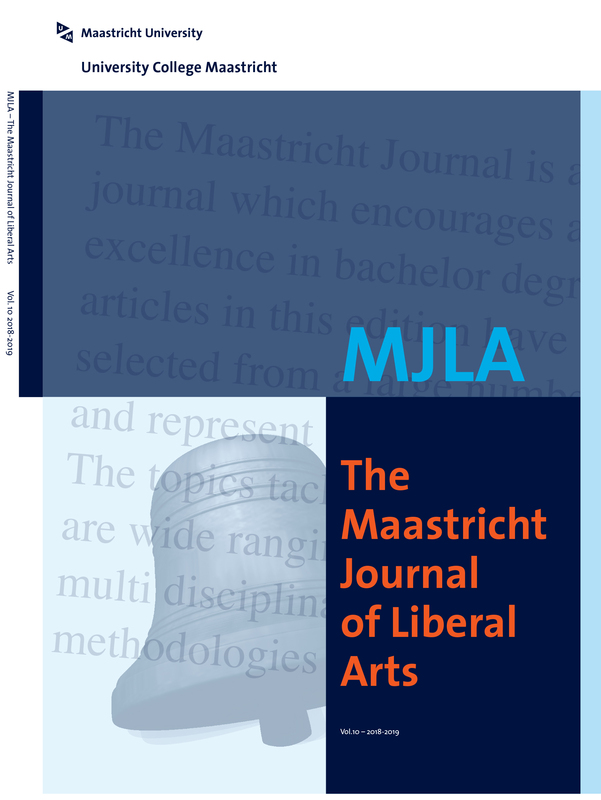 For print copies please contact ucm-mjla@maastrichtuniversity.nl.